Why should kids have all the fun? 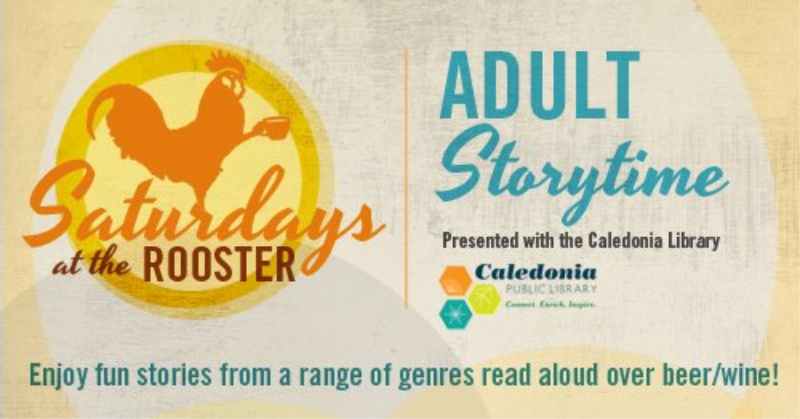 Listen as Ashley (from the Caledonia Library) and Amanda (from The Wired Rooster) read stories aloud while you enjoy a glass of beer or wine (or coffee or soda). Stories are from a wide range of fun genres, but do contain some adult language and mild adult themes, therefore this event is not suitable for children. Presented in partnership with the Caledonia Public Library. Free admission.